Today Andy reviews Amol Wagh’s book “Market your indie game like a pro” and compares it to his real life marketing experiences. You can get the book on Amazon via this link. Can you market your indie game like a pro? Marketing is a constant struggle for Indie Devs. I’ve got my own views on marketing which are slightly opposed to conventional “wisdom” banded about the community. So when I was messaged directly on twitter about this book I thought I would compare it to my own experiences and see what matched (or didn’t). Before I get started I will say I’m in no way stating I am some kind of marketing god. Clearly that isn’t the case. But Rich and I have been doing this for a few years. We know what’s worked for us and we know….we really, really know what doesn’t. Also I won’t cover every chapter in “Market your indie game like a pro”, just the ones that stood out for good, or bad reasons. So, let’s get stuck in. So. I got myself a PSVR. Here’s my thoughts on the future of gaming. One of the reasons I got a PS4 rather than a XB1 was the promise of Project Morpheus. I’d used an Occulus dev kit and played a few demos and was impressed by what I experienced. So when it was announced I was straight onto Amazon with my pre-order. 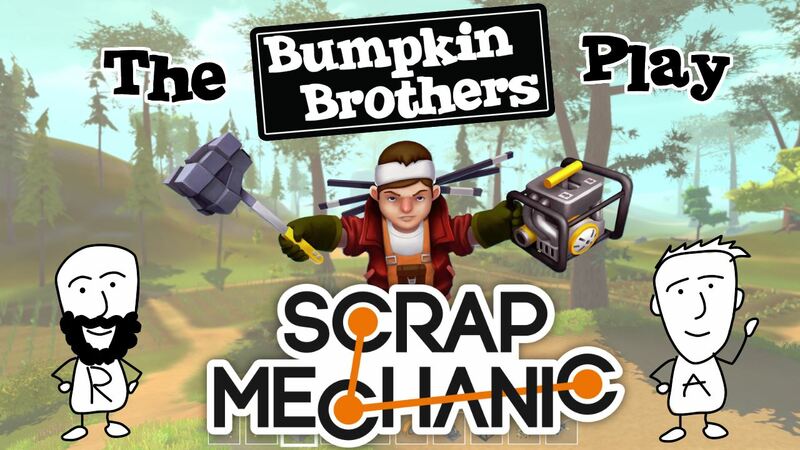 Have you seen Scrap Mechanic yet? We played it during our livestream last Friday and thought it was pretty bloomin’ awesome. It’s billed as a survival game but we mostly spent out time building weird contraptions in an attempts to drive, or vaguely fly, around the land. We didn’t quite get the hang of things straight away and there was plenty of trial and error before we got anything remotely usable. However we were really taken with the building mechanics and instructions on how to use the different elements of the game.